Dennis W. Stevens, chief investigator with the Bell County Attorney's Office, serves the Herald with a subpoena Tuesday afternoon. 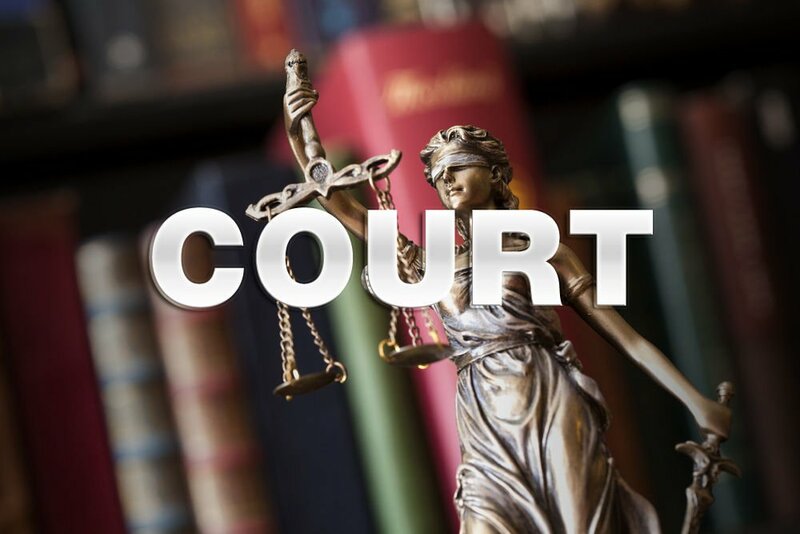 Managing Editor Rose Fitzpatrick was ordered to appear in court Wednesday morning to testify about publication dates of Herald stories mentioned in the Claudia Brown trial proceedings. UPDATE at 10:35 A.M.: Killeen Daily Herald Managing Editor Rose Fitzpatrick, who had been subpoenaed by the prosecution to testify about an archived Herald report of a Ku Klux Klan flyer circulated in Killeen in 2017, was dismissed without having to testify Wednesday. The trial of Justice of the Peace Claudia Brown continues in Bell District Court. 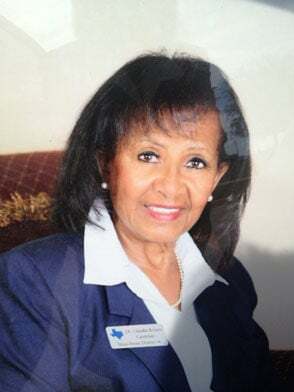 BELTON — Bell County Justice of the Peace Claudia Brown was diagnosed with a mild neurological disorder last year, Dr. John Fabian testified Tuesday, the second day of her trial. The Killeen Democrat is in a jury trial to determine if she is qualified to remain in her elected position or must be removed. Brown’s disorder mainly affects her problem-solving, memory and executive function skills like making judgments, decision making and task execution, Fabian told Bell County Assistant Attorney Dallas Sims on Tuesday. Fabian, a forensic clinical psychologist and clinical neuropsychologist, met Nov. 7, 2018, with Brown in his Austin office. The two basically spent the day together as various tests were run. Fabian testified that Brown does not have dementia but he has concerns about a budding “Alzheimer’s condition.” He recommended further neurological exams for Brown, but doesn’t know how quickly her condition will decline. One of the early symptoms of her disorder is that she will have good days and bad days, according to Fabian. Defense attorney David Fernandez questioned the accuracy of Fabian’s diagnosis and report and the fact he depended sometimes on hearsay evidence and didn’t contact all the people mentioned in the court petition to remove Brown from her elected position. Fabian said it was up to debate as to whether she was doing her job and said she is doing some of it. Bell County Justice of the Peace, Precinct 4, Place 2, Bill Cooke was called to the stand by the prosecution. Cooke said Brown is one of the nicest people he’s ever met, and he could never question her character. He also told Fernandez the majority of people in Brown’s precinct just don’t know the problems JP staffers are having. Cooke reiterated his reluctance to talk about some things concerning Brown. “Knowing what I’ve seen, it would bother me to transfer one of my cases to her at this time,” Cooke said. Fernandez questioned Cooke under cross-examination because he doesn’t check on an offender’s ability to make bail, and pointed out that currently Bell County district judges are examining all of the bonds set by justices of the peace because they’re unconstitutional — something that is being tested by lawsuits in several Texas counties. Fernandez asked Cooke if he violated the constitutional rights of offenders, and Sims objected that questions like that would influence the jury members and make them believe Cooke was doing something illegal. Visiting state District Judge Stephen Ables had the jury leave the room to discuss a legal point. Ables said checking an offender’s ability to make bail is only a recommendation at this point, not a legal requirement — which is a point Ables allowed Sims and Nichols to make if they questioned Cooke again. Fernandez theorized that maybe Brown wasn’t accepted because of racism in Bell County or because she wasn’t a former law enforcement officer like previous justices of the peace. Cooke said he had no knowledge of any racism issues or that law enforcement officers used his previous law enforcement experience as a common bond that pushed out Brown. Bell County District Attorney Henry Garza was called by the prosecution Tuesday afternoon to testify about the $4 billion bond Brown set, followed by several extremely low bonds. Brown told reporters that she set the high bond to prove her point that the bail bond system was broken because unreasonable bonds were set to hold people in custody. Fernandez objected that the information Garza talked about was hearsay and provided by a third party, but Ables overruled the objection. “I saw injustice right in front of me and knew I had to do the right thing,” Garza said. The district attorney said he waited for Antonio Willis’ attorney, Billy Ray Hall, to file a motion to reduce the $4 billion bond that was “cruel and unusual,” but Hall didn’t. Garza filed the motion, which Hall joined, and a Bell County district judge reduced the bond to $150,000. However, it wasn’t until two or three days later that Willis posted bail. An accident victim’s wife, Eshera Nicole Anderson Banks, testified Tuesday that Brown called her on Oct. 26, 2017, the night her husband Xavier La Monde Banks died, and told her that he died from foul play — not in an accident as Killeen police told her. Brown was at the scene as the on-call justice of the peace, and Killeen Police Detective Mathias Smith said during Tuesday’s testimony that he never said that to Brown. Eschera Banks tearfully said she was told by Brown that her husband’s face was badly beaten and she felt the accident was staged to cover foul play. Brown also told her that her husband had post traumatic stress disorder and probably didn’t have on many clothes because of that. Smith said Banks’ clothing was partially removed during efforts to save his life, and a sheet was placed over Banks afterward. Only his face was uncovered for Brown to take photos. Also testifying was the head assistant in Brown’s office who had a difficult time testifying about the JP. One question in particular by Sims brought Dinah Cotto to tears. Cotto said Brown has good days and bad days. When asked by Sims to talk about a bad day, Cotto was silent at first as tears trickled down her cheeks. Sims discontinued that line of questioning after she watched Cotto struggle to answer. Cotto said Brown sometimes asked legal questions that were not her duty to answer and the number of cases filed in Brown’s court has significantly declined. She also said she apprehensive about her job now. Stevens’ surprise visit followed a Tuesday morning phone call to the Herald from another investigator with the county attorney’s office. Investigator Sandra Hunt said Brown had testified Monday that her social media post mentioning the KKK was in reaction to reading a story in the Herald. Hunt said Brown’s post was in April 2017 and the only Herald story she could find on the subject was published in September 2017. Hunt asked if the Herald did other article on the KKK flyers. The subpoena served by Stevens on the Herald ordered Fitzpatrick to appear in court at 9 a.m. Wednesday and bring “any articles that were published in the Killeen Daily Herald between 2017-2018 regarding flyers that were passed out in neighborhoods by the Ku Klux Klan.” If Fitzpatrick doesn’t appear in court, she could be fined or confined, the subpoena said. Fitzpatrick told Stevens she would not be able to provide a thorough search of papers. She said she did a quick computer search of staff members’ stories for the words “Ku Klux Klan” and found one story related to the report of flyers in Killeen neighborhoods and one story unrelated to the flyers that had the words Ku Klux Klan. Fitzpatrick said a computer search might not have included all stories on the subject printed in the Herald. “I’m not doing a thorough search. I’m doing a quick search of what would jump out at me,” she said. Stevens said Fitzpatrick was free to note the search was not conclusive. “You can say this — ‘I did not go through every newspaper, every page since the beginning of January of 2017,’” Stevens said. Fitzpatrick said this situation — being subpoenaed to testify about dates stories ran — was unusual for the newsroom. Testimony in the trial continues Wednesday. Ables said he wants to finish the testimony and closing arguments by the end of Wednesday, he told the attorneys. Herald staff members contributed to this report. So comforting to know a Judge has a mental disorder rendering her incapable of routinely making sound judgements. Why is this case taking so long? Quit surrendering to the ludicrous referrals to the ruse of racism and follow the rules of law!